Feature Dearly beloved, please join us in taking a moment to remember the Apple Lisa, a 36-year-old experiment in seeing just how much Apple could charge for hardware. Named for Saint Steve’s daughter, the Lisa project kicked off in 1978, finally making an appearance on 19 January 1983. It was pitched as a graphical competitor to the tiresome text-based computers dominating the marketplace. An Apple Lisa with a ProFile hard drive stacked on top of it. Which was $9,995 to be exact, or over $25,000 in today’s money. Even fully loading one of today’s Apple outdated dustbins (aka the Mac Pro) can’t get close, but the fruit-based firm had no such qualms back in the day. To be fair, the Lisa featured some exotic (and proprietary) hardware – twin 5¼ inch floppy drives came in the case and were infamously known as “Twiggy” drives, either for Apple’s internal code name for the things or due to their fragility. Well-heeled fanbois could also equip the machine with an external Apple ProFile hard drive, featuring a mighty 5MB of storage initially. 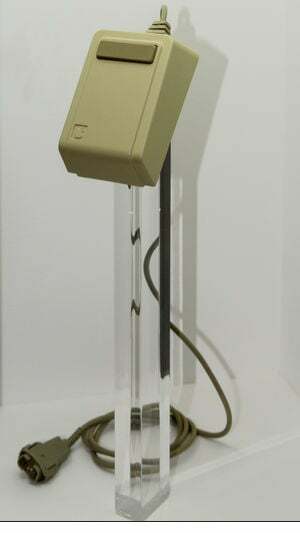 The CPU was a Motorola 68000 (it would be many years before Apple began outfitting its computers with Intel silicon), which was clocked at 5 MHz, and built-in obsolescence in the form of a 4-bit integer-based real-time clock and software that would only accept dates between 1981 and 1995. Imagine that. Apple deliberately building a finite lifespan into its machines. The battery-backed clock would only last a few hours without mains power, and the battery-pack itself tended to burst and leak corrosive fluid onto the computer’s circuit boards, so being unable to record much past the arrival of Microsoft’s Windows 95 was the least of the computer’s problems. The Lisa’s party trick was, of course, its mouse and Graphical User Interface (GUI), which was famously inspired by a visit paid to Xerox PARC in 1979 by Steve Jobs. The barefoot visionary was left breathless with excitement at the toys on show before scuttling back to Apple to get the Lisa team to check out the new interface paradigm. Lisa's party trick was its mouse. As well as the attractive operating system (which featured co-operative multitasking and virtual memory) and a slightly odd screen (12 inches with a resolution of 720 x 360 rectangular pixels) kind old Apple also included a nod toward upgradeability in the form of expansion slots, something the innovative company has tended to shy away from in recent years. 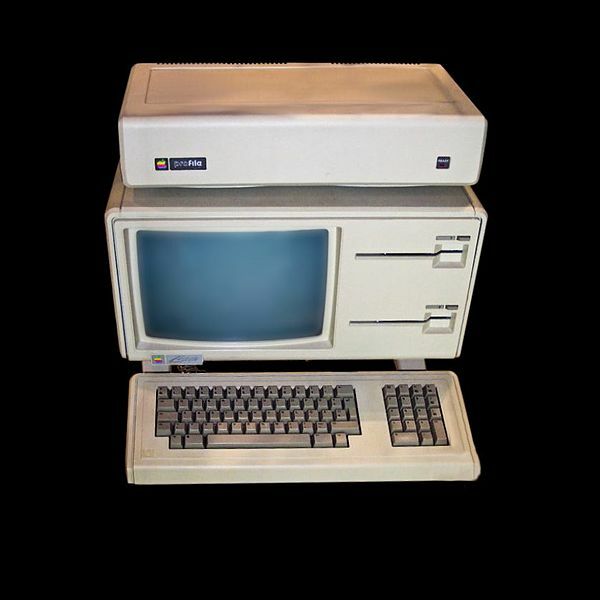 Commercially, the Lisa could charitably be called “underwhelming” and came hot on the heels of the Apple III disaster. The machine received an update in January 1984 in the form of the Lisa 2, which had less RAM (512kB) a single 3½ inch Sony disk drive and, er, a massive price cut. The thing now started at $3,495 (although you’d need to spend considerably more to make it useful) and existing Lisa 1 users were given the opportunity of a free upgrade. Of course, the Apple Mac was waiting in the wings by that point, with its 68000 CPU clocked a little faster at 7.8 MHz, which dealt with the sluggish perception of the Lisa, but even less RAM with a resolutely non-upgradeable 128 kilobytes onboard. At $2,495, the Mac was also considerably cheaper (in Apple terms). The Lisa limped on for a little longer, eventually morphing into the Macintosh XL thanks to some jiggery pokery with the Mac ROMs, before eventually being discontinued in April 1985. Apple quietly buried its remaining unsold stock of some 2,500 Lisas in landfill in 1989, relying on the goodwill of its rabid fanbase to carry on buying its gear even after two flops on the trot.